Due to the nature of leather there may be small variations, swirls or texturing in each piece. Brand of shell may vary from what is pictured. 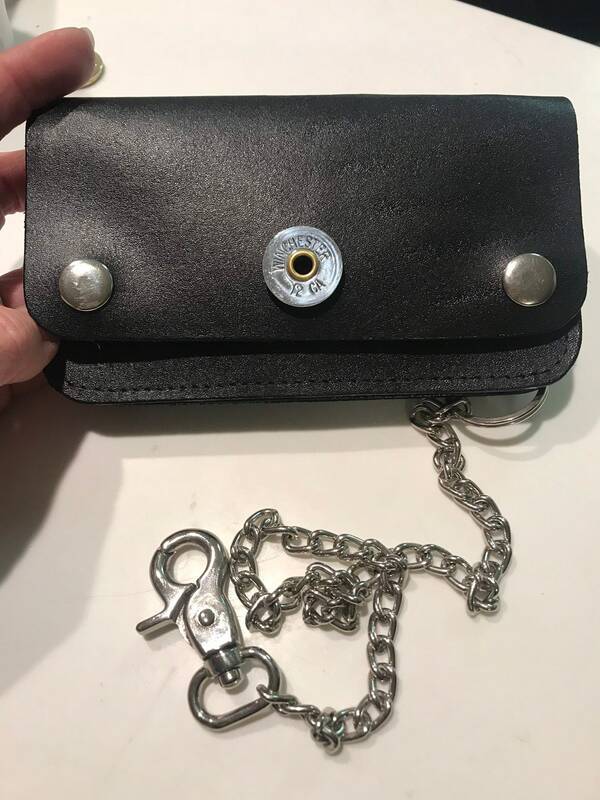 Typically Remington & Winchester shells are used on these wallets.